TJ got featured in a piece in Alaska Dispatch News. It’s a glimpse into what’s going on out there in the wild. Docked in Seattle a few days after Thanksgiving, the F/T Constellation is still filled with the smell of coastal Alaska waters; briny ocean and fresh fish. It wafts up from the lower levels and covers the deck. The vessel has been scrubbed and scoured, but the aroma is impossible to shake. 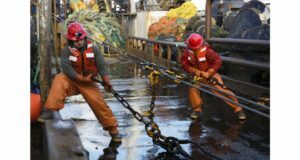 The 165-foot vessel spent the better part of 2016 trawling the Bering Sea. For months, it carried several dozen crewmembers, decks full of equipment and freezers full of fresh seafood. It motored in and out of Dutch Harbor, the fishing capital of the Aleutian Island chain. While it’ll spend the early winter in Seattle, the break is brief—the vessel heads north again each year when the fishing season resumes in January. Built in Louisiana and based in Washington, the Constellation is crewed by men from all over the world. But it’s also distinctly Alaskan; part of a hardy fleet fueling local economies throughout the Southwest. 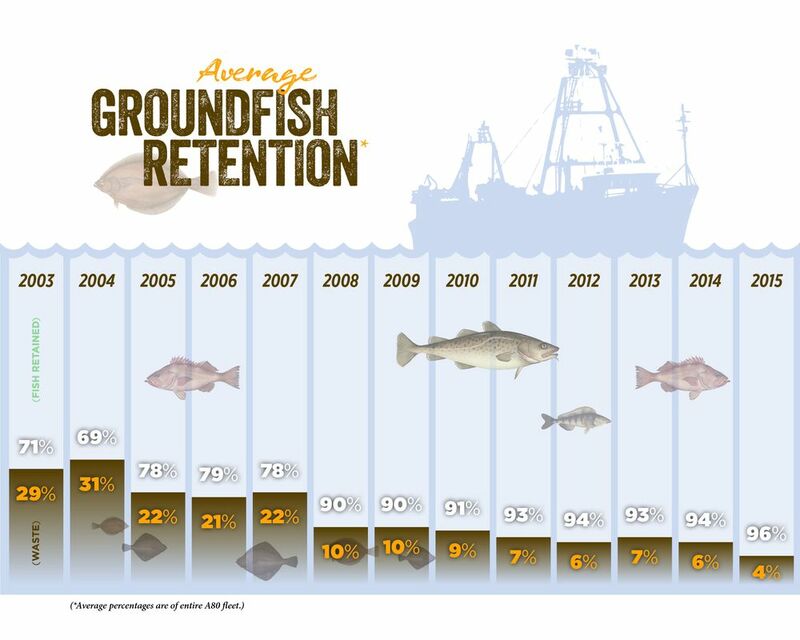 In Alaska, nobody catches more fish than the Groundfish fleet. As a whole, it harvests billions of pounds of seafood annually. A subsection of that fleet — that harvests flatfish, rockfish and cod with trawl catcher processors — is governed by the North Pacific Fishery Management Council’s Amendment 80 (A80). Capt. TJ Durnan’s been a member of that fleet for years. Like most of the men who work on Alaska’s A80 groundfish fleet, Durnan came from somewhere else—Illinois, to be exact. He grew up on Lake Michigan, and spent a year sailing the Caribbean with his father in lieu of college. In 1991, fresh out of high school, he found himself in Dutch Harbor, working aboard a crab barge for around $5 an hour. By the age of 23, he had his first job on a trawler. By 25, he had his mate’s licence. By 26, he was working as a mate on a 225-foot pollock trawler, and in 2002, he took a job aboard the Constellation. The catcher-processor spends the majority of each year harvesting species of sole and flounder throughout the Bering Sea. The entire Alaska A80 fleet is relatively small—represented by six companies operating 18 vessels—but its impact is profound. By value, the Dutch Harbor port comes in second only to New Bedford, Massachusetts, according to the 2015 fisheries statistics released by the National Marine Fisheries Service. By volume, Dutch Harbor is the top port in the nation: In 2015, it landed 787 million pounds of seafood with a value of around $218 million. Those numbers have a deep effect on the local community. Taxes paid by the fleet fund nearly 50 percent of Unalaska’s annual city budget, Kelty said, and the various fishing companies that operate out of the port pay millions in annual property taxes. Money paid by the A80 fishing corporations fund Unalaska schools, the health clinic and other public services. During port calls, vessels and their crews do business with local longshoreman, fuel companies, boat repair businesses and machinery companies, grocers and the Alaska Ship Supply store. 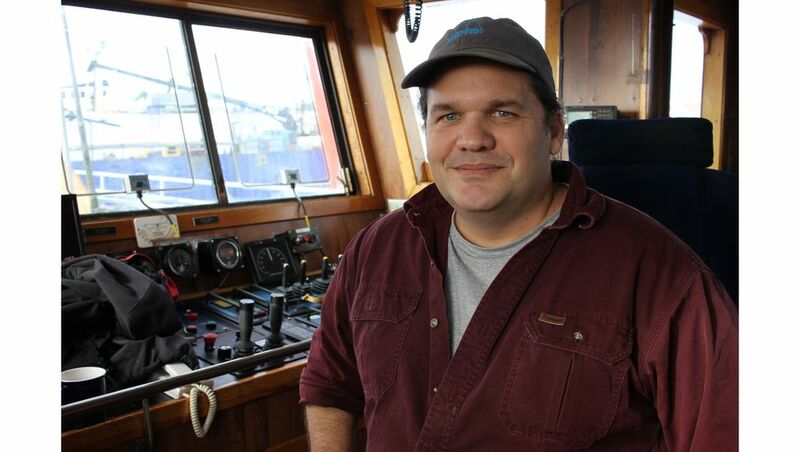 At North Pacific Fuel, up to 90 percent of business comes from the region’s groundfish fleet. The company’s employees come from as far away as the Philippines. Like Durnan on the Constellation, many of them have worked in Dutch Harbor’s fishery for years. Kelty himself came to town in the 1970s, and spent decades working in Alaska’s blooming seafood industry. Dutch Harbor’s had an international feel for as long as he can remember: It was once dubbed “North Seattle,” Kelty said. People still come to the fishery from all over the world—Asia, Africa, the Pacific Islands and beyond—not everything has stayed the same. Then the local crab industry temporarily collapsed. When the first local groundfish plant came online in the mid-1980s, it more than made up for the plunge in the crab business, Kelty said. As the years went by, he watched the development of Dutch Harbor and the steady evolution of the groundfish fleet. In 2008 A80 fishery operation and management practices were overhauled, focusing on habitat protection and bycatch reduction. Modern management eliminates the competitive race to catch the most fish, dramatically reducing the number of halibut bycatch. Additionally, modified fishing gear has helped A80 trawlers reduce contact with the ocean floor, while specially designed excluders allow halibut to escape while other flatfish species continue into the nets. Improved monitoring and enforcement efforts, like onboard cameras, federal fishery observers and daily logs contribute to overall bycatch reduction. While unusable fish once comprised as much as 50 percent of a vessel’s catch, they now make up less than five percent. 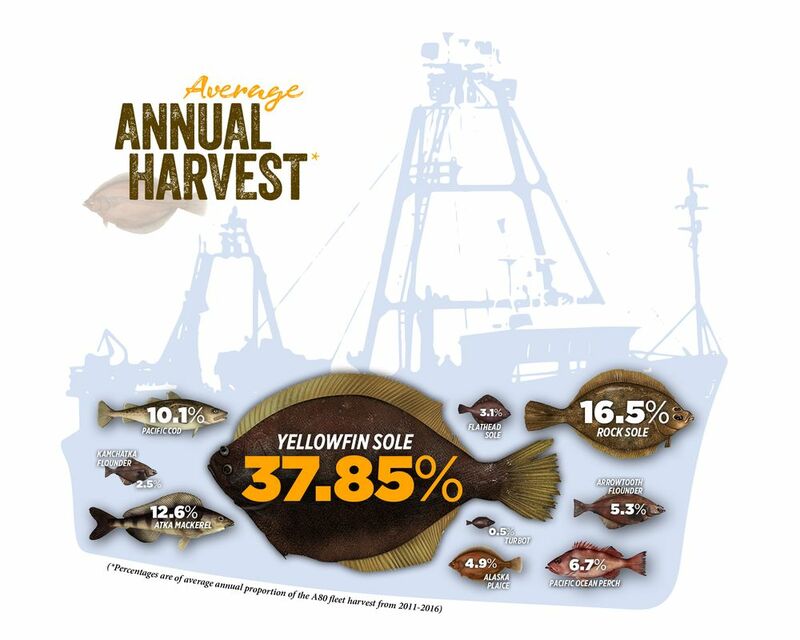 Halibut bycatch totals less than one percent. On board the Constellation, bycatch remains a constant concern. Any halibut caught in the nets must be discarded. 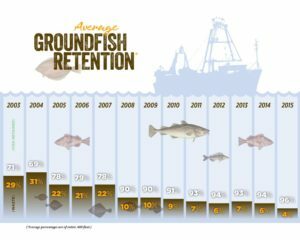 Avoiding halibut takes time and work, but it’s paying off: Halibut bycatch is now at its lowest level since the 1970s, when the passage of the Magnuson-Stevens Fishery Conservation and Management Act successfully Americanized the U.S. fishing industry. Second only to the state’s salmon fisheries, Alaska groundfish provide more harvesting jobs than any other fishery, according to the Alaska Department of Labor and Workforce Development. While other fisheries provide employment for half of the year or less, the A80 season extends from January to November, with peak employment in February, March and September. More than 60 people found jobs aboard the Constellation in 2016, Durnan said. “I think a lot of the people like the work and the freedom of it, but these guys can make a lot more money here in a short time than they could in a job on shore,” Durnan said. People without the skills or work history to make a living in another industry can provide for their families by working for Alaska’s A80 fleet. Other people do it for the lifestyle it enables. For several consecutive months every year, when he’s not working aboard the Constellation, Durnan lives with his wife on a sailboat currently anchored somewhere in Europe. This entry was posted in Uncategorized on February 17, 2017 by JennyDurnan. Hi Jenny and TJ, if you guys are in the Seattle area I’d love to meet for coffee or a beer! My father in law built Rocket Science and I would just love to chat about your experience so far.